To read New York Times columnist Thomas Friedman is to live in another universe. While he once had some basic understanding of the Middle East, that seems to be a long time ago. Friedman’s view – and that of almost every journalist for The Times – is that Israeli Prime Minister Benjamin Netanyahu is a right wing lunatic, while his counterparts around the Arab world including acting-President of the Palestinian Authority Mahmoud Abbas and Jordanian King Abdullah II are simply weak and incompetent. The left wing media will have you believe that the Arab people are peace-loving people who are frustrated with their economy, while Israeli public are racists. The media tells this narrative over-and-again in various ways. But the reality is much more shocking for both pro-Zionists and pro-Arabs and those who seek an enduring peace in the region. The Arab leaders are indeed very weak. They hold onto whatever power they have by criticizing Jews and Israel to gain public support. The Arab masses are broadly antisemitic and celebrate any insult and setback of the Jews and their leaders are happy to supply the red meat. Netanyahu knows all of this. He therefore allows his Arab counterparts to rant and rave while saying and doing nothing, to keep a lid on the Arab masses and stability in leadership. He knows that if the Arab leaders appear to be on overly positive terms with the Jewish State, the Arab street will turn on their leaders and remove them from power. So when the Jordanian king claims rights over the Christian sites in Jerusalem even though he has none, Netanyahu stays silent. In 2010, when Jordan denounced the rebuilding and reopening of the Hurva Synagogue which it had destroyed in 1949, Netanyahu decided to skip the re-dedication. When Abdullah cries that the biggest crisis in the Middle East is the lack of a Palestinian State while millions of Syrians, Iraqis and Yemenites are slaughtered by fellow Arabs, Netanyahu lets the venting at him proceed without comment. The theater is because Abdullah needs Netanyahu to prop up his veneer of strength, and noting does that better than castigating the “little Satan” on the world stage for everyone to see and hear. For his part, Netanyahu needs to keep the Arab masses from tearing the Jewish State apart and to keep Jordan as a stable buffer from the crazy Islamic radicals at home and beyond. The dynamic is not different regarding the two major Palestinian political parties, the terrorist group Hamas and the politely antisemitic Fatah. Hamas has a stated goal of seeking the destruction of Israel and the killing of Jews. Yet Netanyahu has not assassinated the entirety of its leadership even though he could do so easily. Instead, he allows hundreds of millions of dollars to flow through into Gaza from Qatar to give Hamas a little breathing room with its populace. By controlling the spigot of cash, Netanyahu exerts additional leverage over Hamas. In exchange, Hamas keeps the rocket attacks to a minimum over the Israeli election season. Fatah occasionally keeps its incitement in check and coordinates security with the Israeli police. Netanyahu goes on to victory and the Palestinian parties get some ammo to trade with Netanyahu down the road. 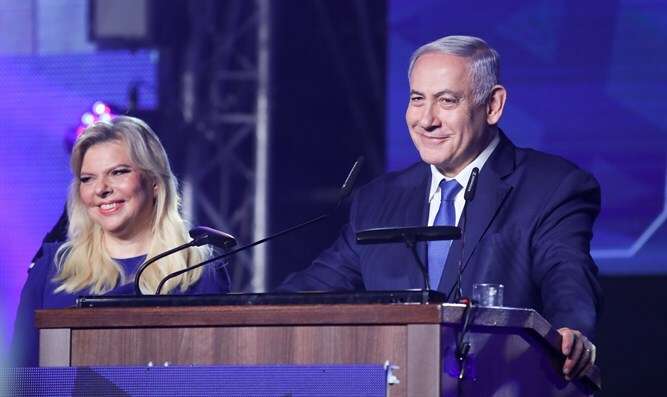 Right wing Zionists would be upset to learn that Netanyahu is softer than he appears and right wing Arabs would be appalled how their leaders actively consort with their enemy even as the Arab leadership gives public lip service to the masses. For its inept part, the media cannot cover the political machinations anywhere close to as well as they write about every nuance of The Game of Thrones. Their liberal goal is to undermine American support for Israel, not to tell the news. The leader of the Jewish State has learned how to survive in the turbulent Middle East, playing politics to its fullest both inside and outside of Israel. He leaves behind a media scratching their heads only able to call out “victor” as fact and “right-wing radical” as uninformed biased opinion. 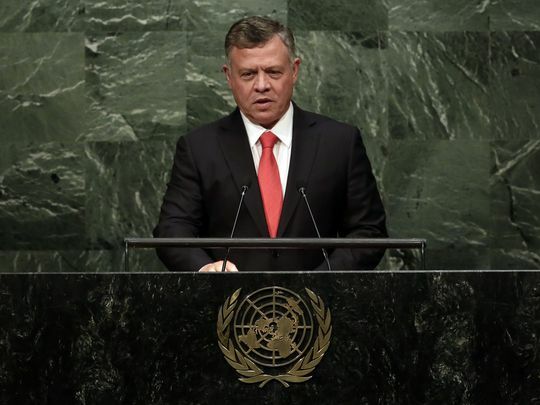 Jordan’s King Abdullah II spoke at the United Nations General Assembly on September 25, 2018. As in past years, he spoke in a strong English and sounded compassionate. If only one could ignore the lies that underscored his speech that sounded so convincing. According to Abdullah, what issues are of secondary importance (not “key”)? The civil war in Syria which has killed over 500,000 people and left millions of people as refugees scattered around the world – including in Jordan – did not top his list. The Muslim maniacs of ISIS who tore up Iraq and Syria, torturing and beheading people was not a primary concern. The civil war in Yemen which has brought Saudi Arabia and Iran to battle each other in an impoverished region, ensuring a humanitarian disaster did not seem to worry Abdullah. And how exactly is the lack of a Palestinian state a “crisis”? A crisis is typically a new altered unnatural state that must be addressed immediately, such as a natural disaster, an epidemic or war. Yet there has NEVER been an independent state of Palestine ruled by local Arabs. Was the lack of a state a crisis when Jordan illegally annexed the west bank of the Jordan River for 17 years? How can the lack of such state be called a crisis in any fashion, let alone the most important one? Roughly 39% of the Palestinian “refugees” live in Jordan and have Jordanian citizenship and are able to work and travel freely. How is that situation a crisis? Another 42% of the Palestinian “refugees” still live in the region of Palestine as defined in 1947. The vast majority have autonomy. They also have among the highest life expectancy and literacy rates in the Arab world. How is that a crisis? Only 19% of the Palestinian “refugees” live in Lebanon and Syria which treat them as outcasts. But even they have first world free education and healthcare. The non-UNRWA wards in Syrian have no support network and get caught in the horrific civil war. But Abdullah thinks the lack of a state is so important, so time-sensitive, and so dire for Palestinians, that they must get ALL of their demands satisfied. Their situation is so precarious and so dangerous, that if they do not get every issue satisfied as dictated by Abdullah such as a state along “1967 borders” with “East Jerusalem as its capital,” then horrors worse than Syria, Iraq and Yemen would certainly befall the Palestinians. A state with 5% less land than the 1967 borders would definitely lead to an Ebola outbreak. A state with a capital in Ramallah instead of eastern Jerusalem would lead to millions dead in the streets from starvation. It’s pure nonsense. But said so well! Jordan’s King Abdullah’s prose was pretty but pitiful. He voiced an absurdity on top of absurdity on top of absurdity; no easy task with a straight face. But it was so beautifully delivered, he deserves to have the act of publicly delivering a heap of illogical and irrational thoughts with a straight face named after him: the Abdullah Absurdities. 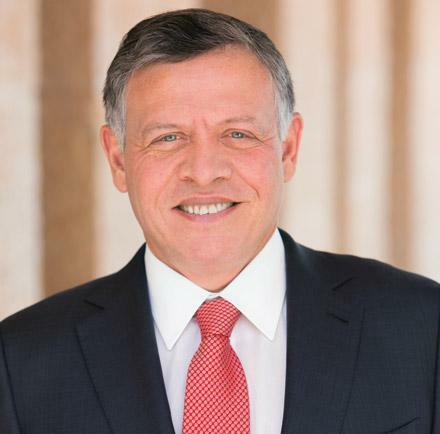 The current leader of the Hashemite Kingdom of Jordan is a well-polished man named King Abdullah II, who has reigned since the passing of his father in 1999. 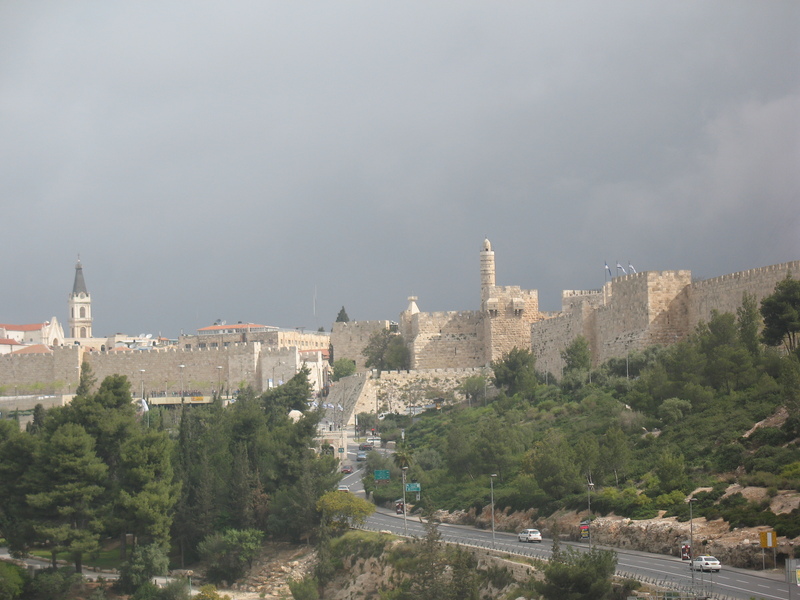 In recent years, he has aggressively sought to claim “special” rights in the holy sites of Jerusalem, well beyond his reach. There was no mention of any Christian sites. The Israeli-Jordanian peace treaty gave Jordan special rights for: 1) Muslim holy sites for 2) Arab and Muslim Nations. However, the treaty gave Jordan nothing as it related to 1) Jewish holy sites, for 2) the rest of the non-Arab and non-Muslim world. While the al Aqsa Mosque that sits at the southern tip of the Temple Mount is an exclusively Islamic site, the rest of the Temple Mount – including the location of the Dome of the Rock – are Jewish holy sites. Jordan has no special rights over such Jewish holy sites and nor any authority over non-Arab and non-Muslim visitors. Jordan’s statements and actions were in direct violation of every sentiment of the peace treaty executed by his father and the Jewish State, as he sought to undermine Jewish history and rights on the Temple Mount. How do either the Jordanians or Palestinians believe that they are promoting “religious understanding, … tolerance and peace,” when they publicly step on Jewish history and faith? It is also interesting to note that the Jordanian agreement with the PA also never discussed any Jordanian role with Christian holy sites. To this day, Jordan continues to state that the very presence of Israel in Jerusalem is a threat to Arabs and Muslim holy sites, and refuses to acknowledge that Jerusalem and the Temple Mount have been anchored in Jewish history for over 3000 years. How does Abdullah make such a statement while also acknowledging Israel’s role in Jerusalem in its peace treaty? Is Jordan’s treaty with Israel only based on Israel’s de facto existence and presence in Jerusalem? If Jordan believes that Israel has no role or place in Jerusalem, why have sections in the peace treaty specifically discussing Jerusalem? The “investments” made by Jordan in the Old City of Jerusalem, pale in comparison to the investments made by the government of Israel since it reunited the city in June 1967. Hundreds of millions of dollars have been spent in city improvements. By such measure alone, Israel’s rights throughout the city trumps any claim by Jordanians or Palestinians. It is a strange hypocrisy that Jordan claims that Israel’s annexation and role in the Old City of Jerusalem is illegal and not recognized by the international community, when Jordan’s annexation of the eastern half of Jerusalem and the “West Bank” in 1950 was itself not recognized by any country (other than itself, the UK and Pakistan). The King of Jordan is eloquent but deceitful. He shrouds himself in words of peace as he stirs up a religious war at Judaism’s holy site. Abdullah has begged both Israel and the Palestinian Authority for some special status in the Jerusalem’s Old City, and each party has agreed to give him some role as a neutered and neutral party. But as Abdullah stretches the meaning of his role and undermines the essence of the peace treaty, it is time for Israel to reconsider Jordan’s role and reassert the Jewish State’s rights and responsibilities at Judaism’s holiest spot. 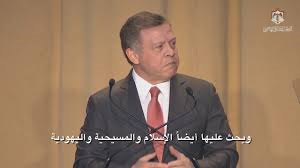 King Abdullah II of Jordan came to Washington D.C. in February 2017 to attend the National Prayer Breakfast. We once again spoke eloquently about “tolerance, mercy, compassion for others, mutual respect.” He stated clearly his belief that people should be “equal in dignity” and that there should be “respect for the houses of God.” Welcome words, particularly from the leader of a country with a terrible history of treating Jews and Jewish holy places. As reviewed in “Jordan’s Deceit and Hunger for Control of Jerusalem,” Jordan attacked Israel several times, banned Jews from their holy places and instituted an anti-Semitic nationality law that specifically excluded Jews from getting Jordanian citizenship. But Jordan made peace with Israel in 1994 and perhaps King Abdullah may finally be ready to take the next step in recognizing Jewish rights in Jerusalem. After the Gaza War in 2014, the Palestinian Arabs in the West Bank were looking for a way to express their anger at Israel. On the Jewish Temple Mount in Jerusalem, dozens of Muslim women began to actively protest Jews coming onto the plaza. They would follow the visitors around the site and yell “Allahu Akbar” in efforts to intimidate them to leave the area. Men joined these protestors as well, sometimes throwing rocks at the Jewish visitors. These “Mourabitoun” were actively promoted by the terrorist group Hamas, and tacitly approved by the Waqf that administers the holy site. The Waqf is funded by the Jordanian government. 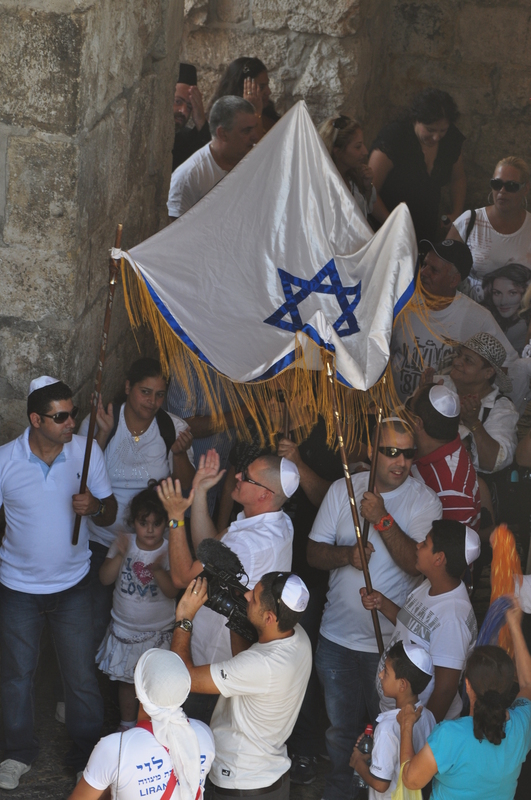 Because of the Mourabitoun, the number of Jews that get to visit the Jewish Temple Mount is a fraction of the tourists that ascend to the complex each day. Armed Israeli guards vet each Jews that goes up to ensure that they have no prayer books and do not pray during the visit. The soldiers surround these small groups of 10-15 people as they methodically go to discrete areas of the site. 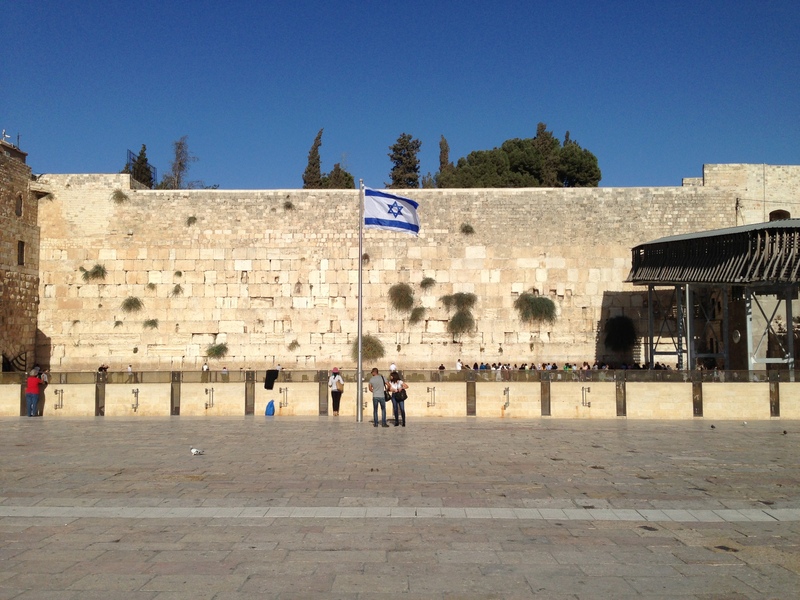 Meanwhile, thousands of non-Jewish tourists get to visit Judaism’s holiest site unimpeded. If Abdullah wants to be a man true to his word, it is time to denounce the Mourabitoun and give Jews the tolerance and mutual respect he says is necessary for a peaceful world. 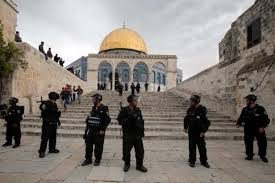 It is time for the Waqf to not stand in the way of Jewish visitors who used to pray freely on the Temple Mount 450 years ago, before Suleiman kicked them from the site and relegated a small section of the western retaining wall of the mount – the Kotel – for Jewish prayer. Will Abdullah be a man of his word in advancing peace and respect as he advocated at a prayer breakfast? Or will he be a hypocrite and anti-Semite who cannot show mutual respect to Jews? It is time for action, not just words. 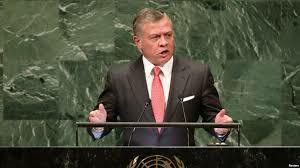 Jordan’s King Abdullah gave a flowery speech to the United Nations General Assembly in September 2015. To the casual listener, his words sounded progressive in his call for “loving our neighbour, showing respect to those different from us,” and to “amplify the voice of moderation,” especially from a region so caught up in violent Islamic extremism. Jordan attacked Israel in 1948, together with four Arab armies in an attempt to completely destroy the new Jewish State, and then Jordan illegally seized the eastern half of Jerusalem. Jordan evicted all Jews from the Old City of Jerusalem and Judea and Samaria in 1949, counter to the Fourth Geneva Convention. Jordan explicitly denied Jews citizenship when it granted Arabs in its conquered territory citizenship in 1954. Jordan barred any Jews from even visiting their holy sites when they controlled Jerusalem from 1949-1967. Jordan attacked Israel again in 1967 and lost the area it had illegally annexed. Jordan condemned the 2010 rebuilding of a prominent synagogue in Jerusalem that Jordan itself had destroyed in 1949. Israel granted the Jordanian Islamic Waqf custodian rights to the Temple Mount when it reunified Jerusalem in 1967. Israel enshrined the religious protections of all religions in its laws and safeguarded access to holy sites for all religions. Israel reiterated the special role that Jordan plays on the Temple Mount in the Israel-Jordan Peace Treaty in 1994. Today, Israeli Prime Minister Netanyahu repeatedly reiterates that Israel will maintain the “status quo” of the Jordanian Waqf’s anti-Semitic edict of barring Jewish prayer at the Temple Mount. When the Jordanian king spoke of “rejecting threats to the Holy Places and the Arab character of this Holy City [Jerusalem]” in a speech that was theoretically about tolerance, did he once mention Judaism? Did he make a passing reference to the Jerusalem being the holiest city to only one religion – Judaism? Did he mention that Jerusalem has had a Jewish majority since the 1860s? 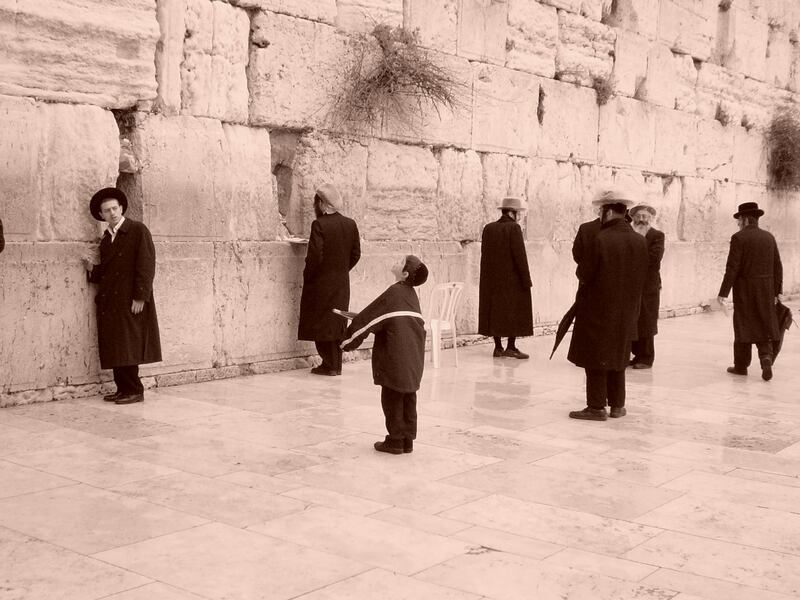 A passing comment about the Jewish Temples or Western Wall? Or did he define the holy city as solely having an “Arab character”? In his choice of the phrase “threats to the Holy Places,” was Abdullah suggesting that Jews should no longer be permitted to visit the Temple Mount, or that Israeli police should be prevented from protecting Jewish visitors from Arab harassment and stone throwers, even though the Jordanian peace treaty with Israel specifically gave Jews and Israel both of those rights? To Abdullah’s comment of gathering “Muslims and Christians everywhere,” was he suggesting gathering 2 billion people against Israel on a trumped up non-existent threat to Islamic holy places? Was Abdullah calling for a global jihad in “twisting” facts to create a religious battle to promote a greater role for himself? Was that his idea of “amplify[ing] the voice of moderation”? It is Abdullah that must “recognize his own deceit” and “hunger for power and control” of Judaism’s holiest spot in the capital of Israel. His opening line taken from the Jewish bible of “love thy neighbor as thyself” and “showing respect to those different” was a red herring in his call to cast himself as a loving moderate while calling for a global jihad against Israel on a non-existent cause. The “progressive” voices attacking Jews and the Jewish State are becoming more numerous and growing louder. Beware of the velvet tongue as much as the iron fist.